Whether it is at a local spa in her hometown Hyderabad, or a health club, at parties or store launches, and even a felicitation, the duo has always been spotted together. 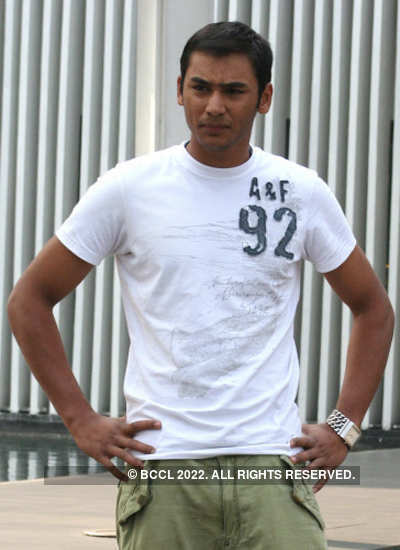 "Asaduddin is there at every match Jwala plays in Hyderabad, and he follows her game keenly. And not just that, after every game, Jwala always chooses to go and sit beside Asaduddin and the twosome can be spotted chatting away. They come together and leave together," says a source. 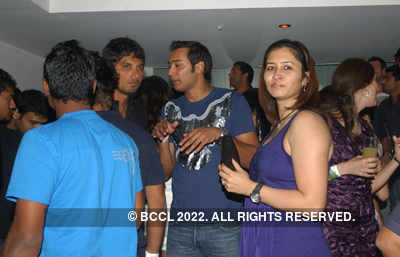 Another source informs that she was recently spotted at an IPL after-match party, once again in the company of Asaduddin. 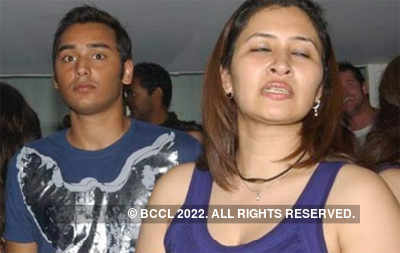 The duo did shy away from being clicked together - Jwala even snapped at a photographer -but they were clicked nonetheless. In this pic, the two can be seen attending the recent IPL 4 cricket match between Deccan Chargers and Rajasthan Royals in Hyderabad.